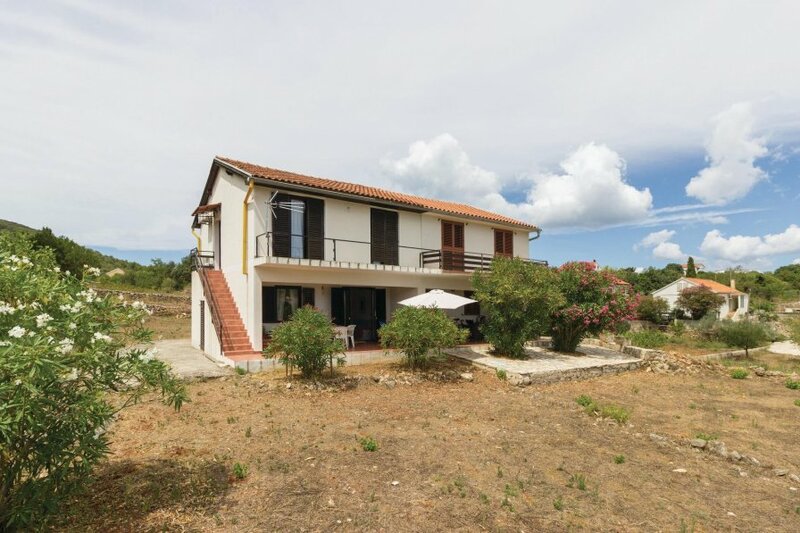 Two-storey holiday apartment is located in a semi-detached house on the island of Iž. On the ground floor there is a bathroom and a living room with a kitchen, with a passage to a terrace. Two-storey holiday apartment is located in a semi-detached house on the island of Iž. On the ground floor there is a bathroom and a living room with a kitchen, with a passage to a terrace. The upper floor is connected to the external stairs and there are three bedrooms and a bathroom. The object is located in a quieter part and is the perfect choice for families with children. The apartment cannot be reached by car, nearest to about 100 m. Island Iž is a paradise islet ideal for guests who are looking for a rest and untouched nature. The nearby restaurant offers numerous Dalmatian specialties. The island will provide you with a carefree vacation and escape from everyday life. This apartment is made from brick or stone and was originally built in 1991 and refurbished in 2011. The agent has rated it as a three star property so it is a well-kept apartment, equipped with standard furniture. It is also good value for money. The apartmentIt is located in Veli Iž, only 16km from Zadar. It is set in a very convenient location, just 300 metres away from a stone and pebble beach. There's also a restaurant only 300 metres away. You can also park on-site at no extra charge. The apartment is adequately equipped: it has a refrigerator.